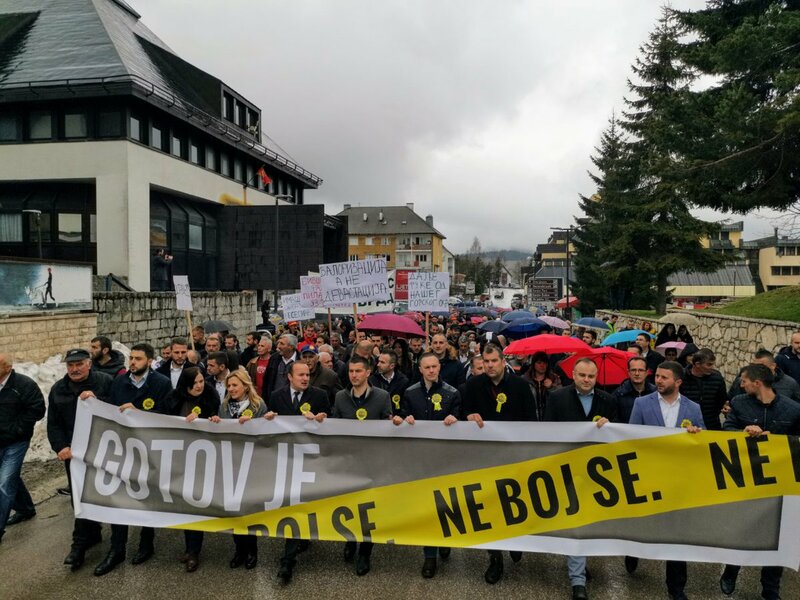 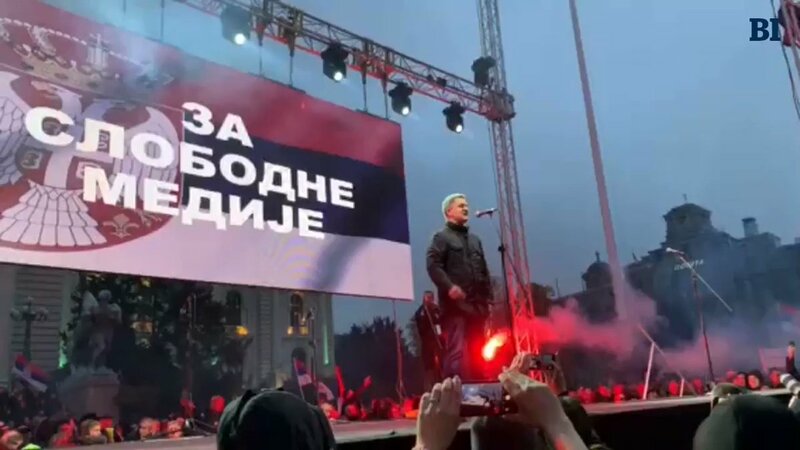 Reporters Without Borders have called on the parliament in Bosnia's Republika Srpska to reject the planned amendments to a public order law that would penalise journalists who "disrupt" police operations. 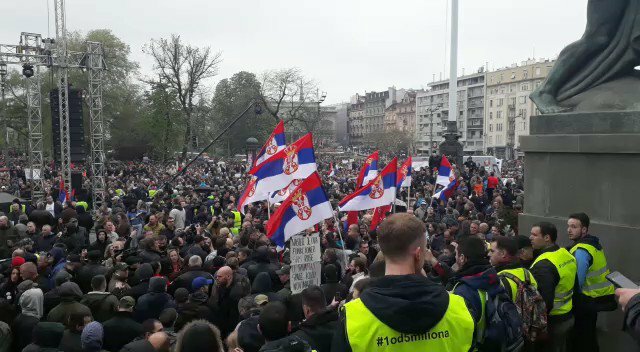 It comes ahead of the RS parliament's meeting tomorrow. 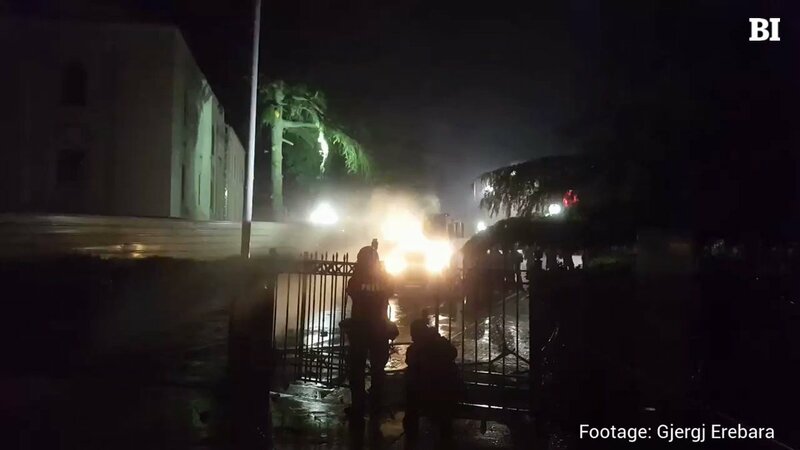 Police extinguish the fiery wreck of the car set alight during tonight's anti-govt demonstration in Tirana. 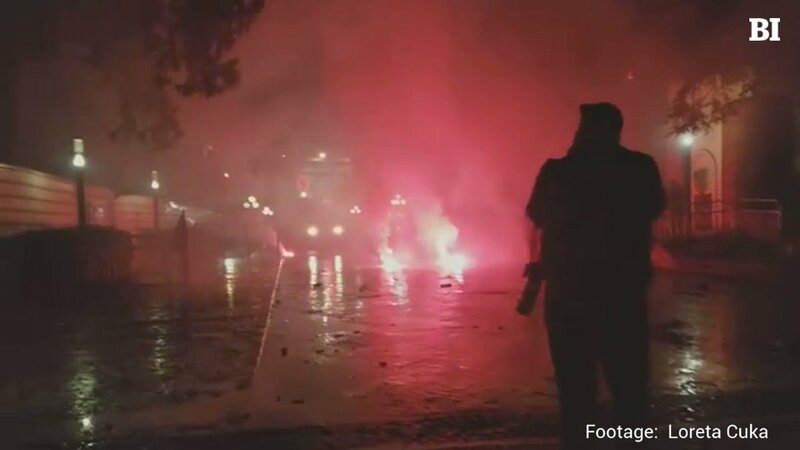 The protest turned violent after ralliers broke through police cordons and threw Molotov cocktails, fireworks and smoke bombs. 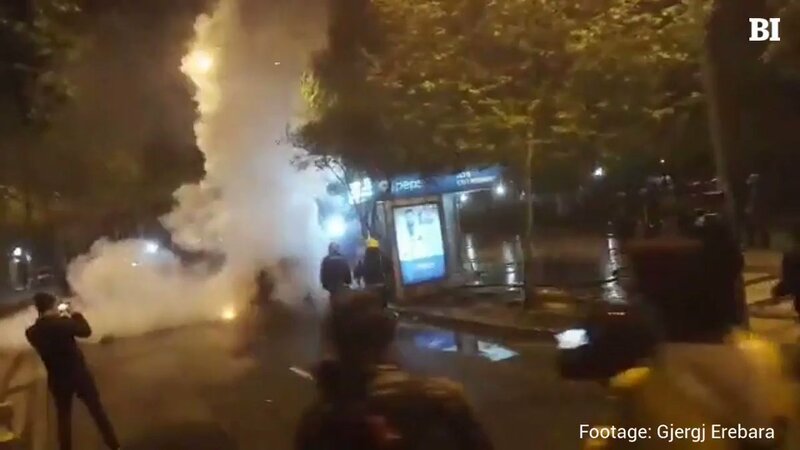 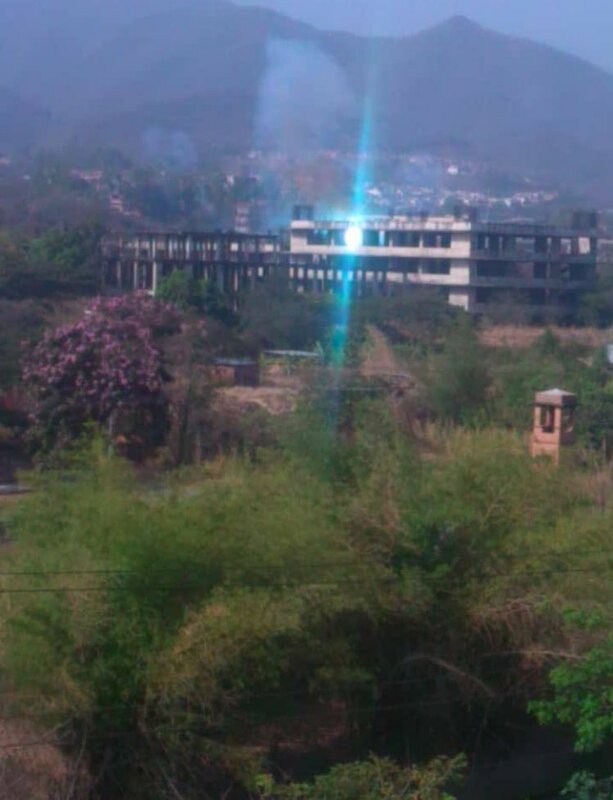 Police used tear gas to disperse them. 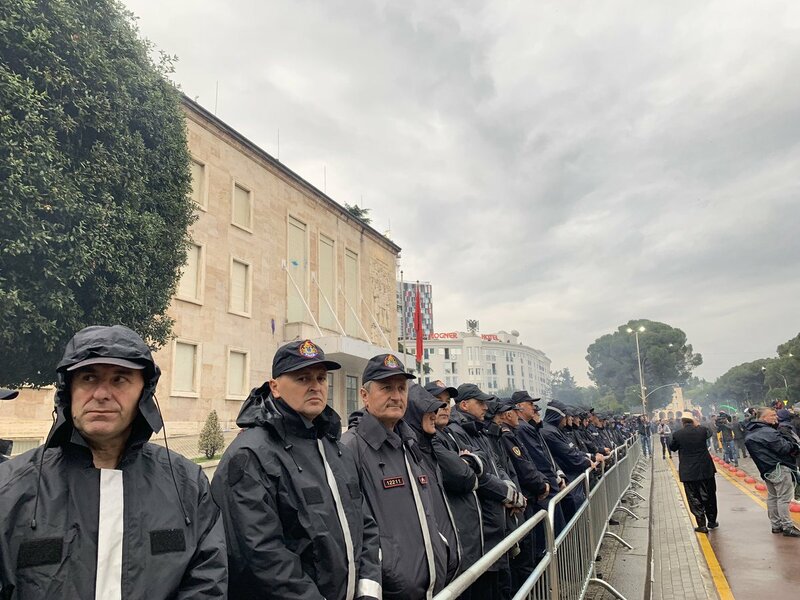 Police fired a water cannon against anti-govt demonstrators near the Albanian parliament building in Tirana, also catching journalists in their path. 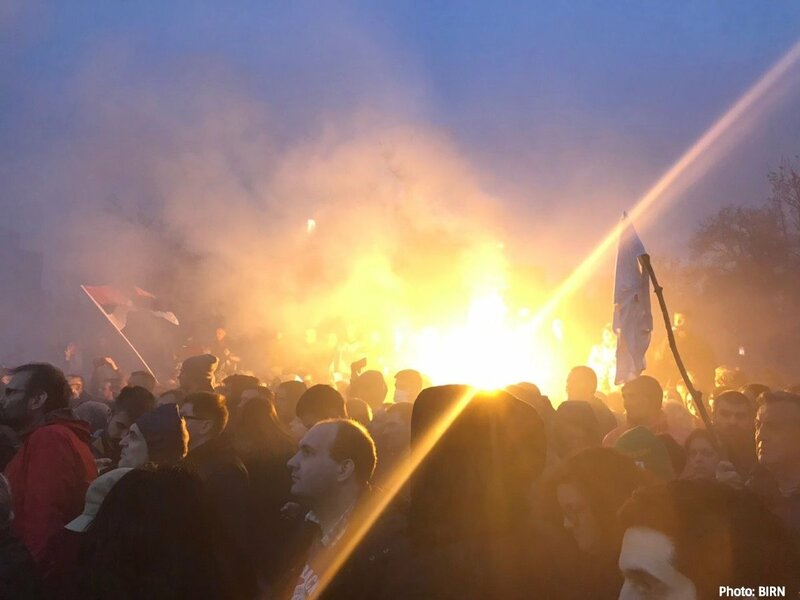 Anti-govt demonstrators in Tirana have thrown Molotov cocktails at police, who are approaching with a water cannon to try to disperse the crowd further after already using tear gas. 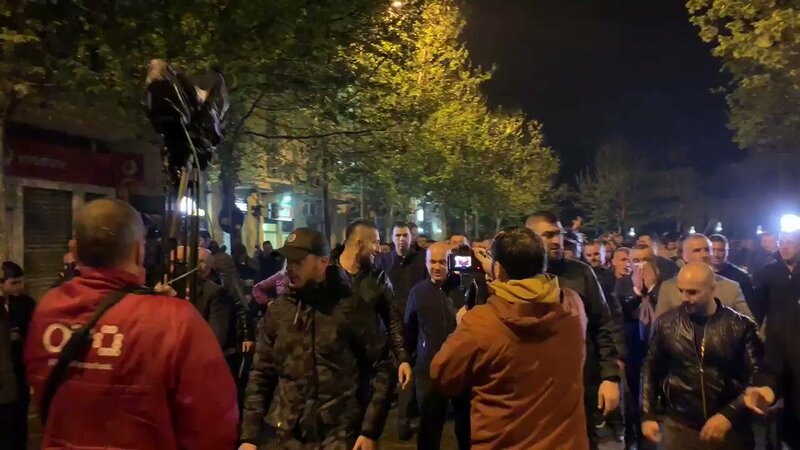 Leader of Albanisn opposition is leading the protestors to a possible new location. 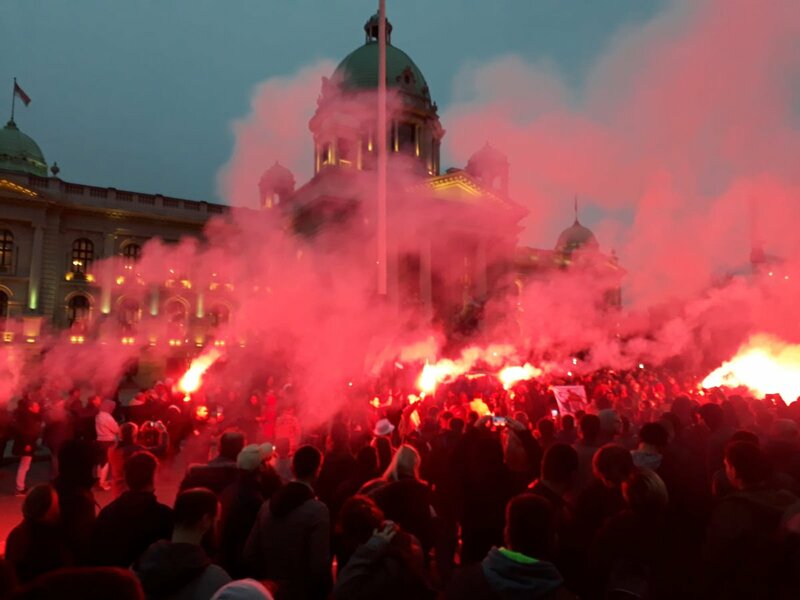 Outside the Serbian Assembly, anti-govt protesters let off flares while opposition leaders address the crowd. 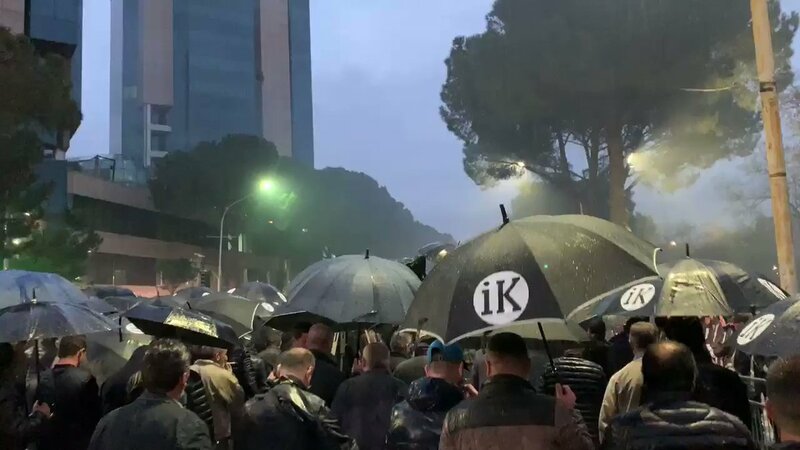 Large opposition protest kicking off in Tirana, Albania. 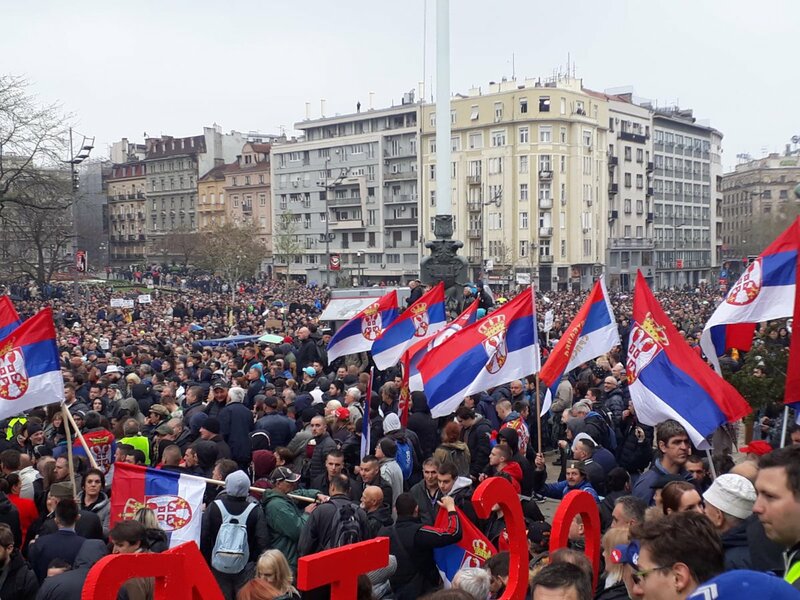 Belgrade: The crowd at the House of the National Assembly. 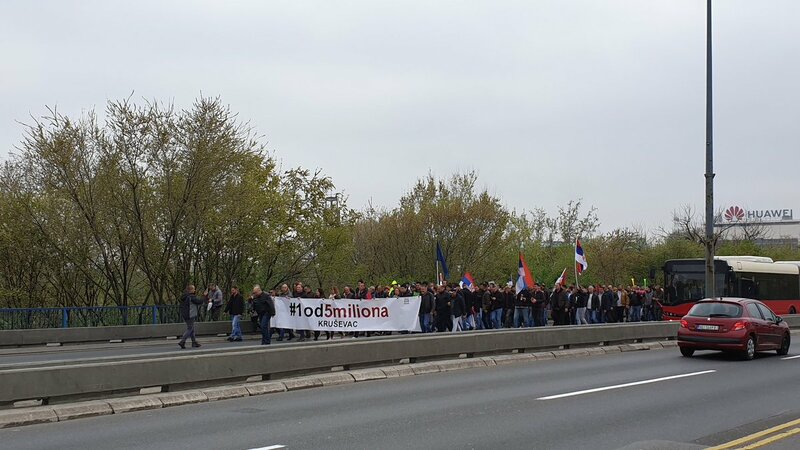 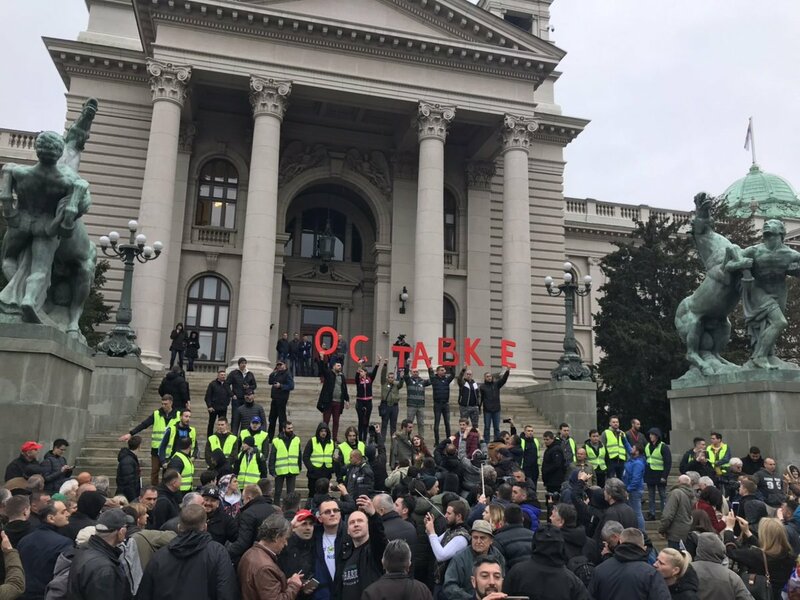 #1od5miliona anti-govt protesters hold a sign reading "Resignations" outside the parliament building in Belgrade. 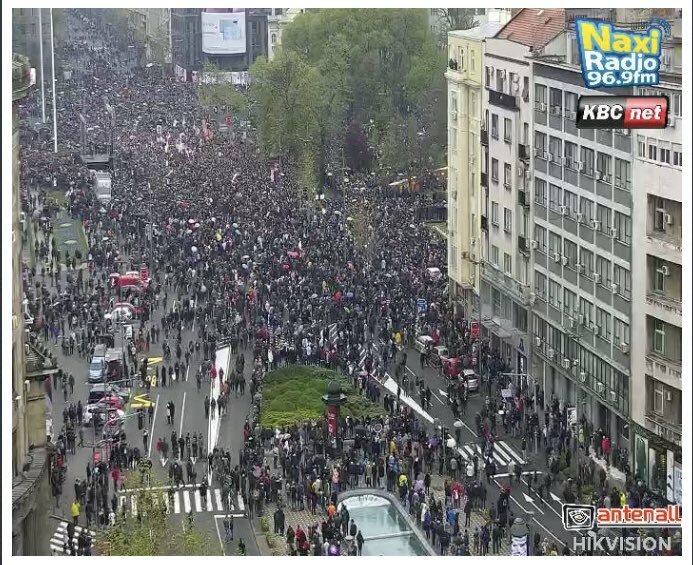 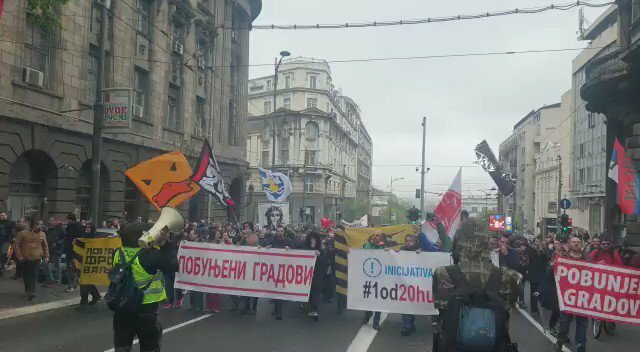 Every Saturday, since December 8th, they are demanding President Vucic and his governing Progressives step down. 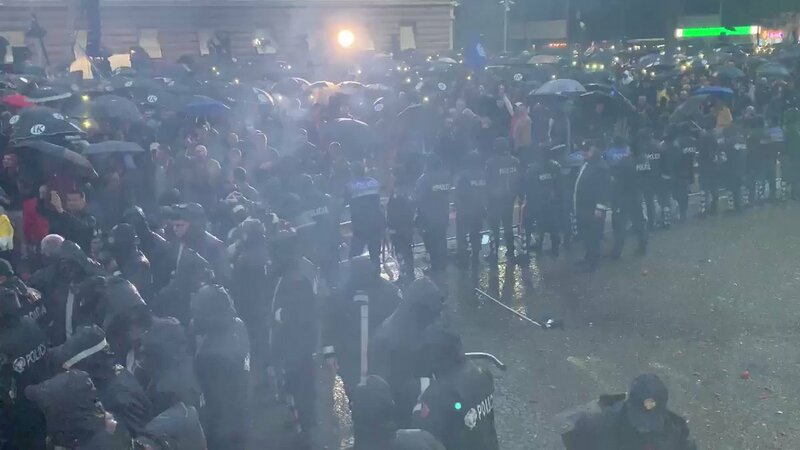 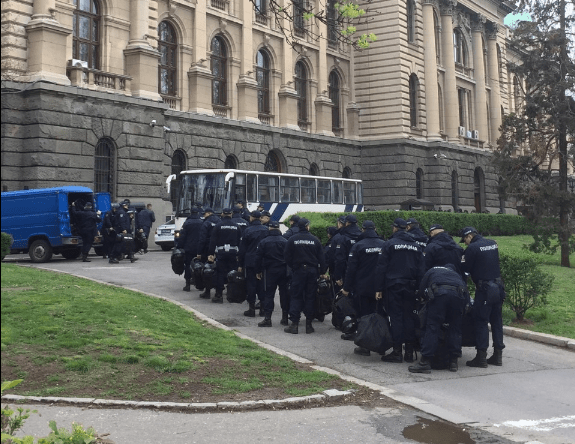 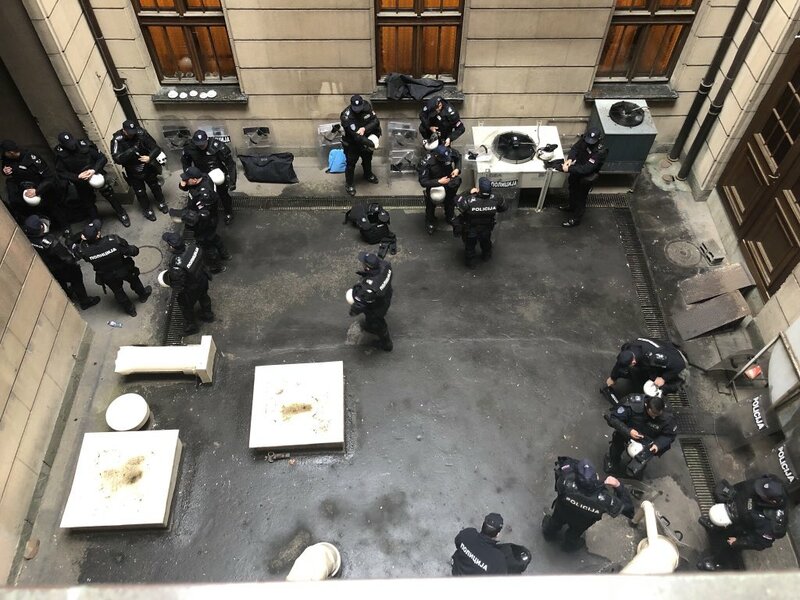 Belgrade: Opposition MPs from inside the National Assembly report presence of heavily armed police forces. 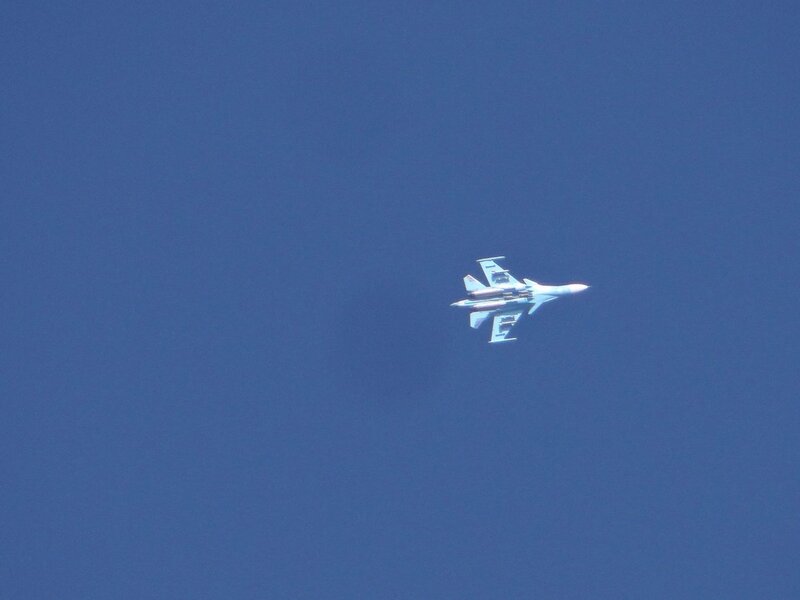 Egypt, Greece and Cyprus joint military exercise Medusa-8 will start tomorrow in the wider region of Alexandria, with air force and special forces units participation. 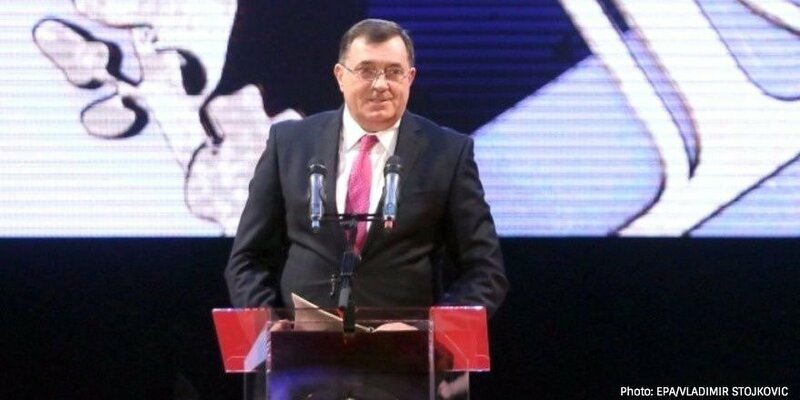 At the opening of a conference 'Srebrenica, reality and manipulation' in Bosnia's Republika Srpska today, Milorad Dodik, chair of Bosnian tripartite presidency, reiterated his claims that crimes at Srebrenica are a "myth".